Eliminate most data entry, with starts, stops, and most other information downloaded automatically from the Publisher each day. Completely integrated Alternate Pub management integrates your Alternate Pubs seamlessly with your main publication on your stackout sheets, mail, route books, and carrier compensation system. Highly optimized stackout sheets have an amazing variety of customization options. 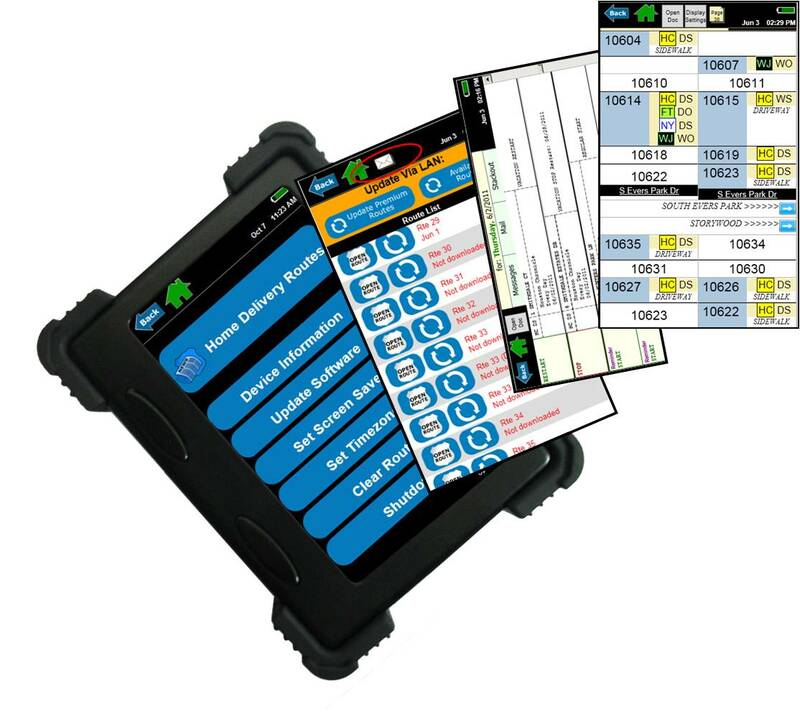 Carriers love the rugged, backlit, vehicle-mount eBook devices for automatic downloading of route books and daily mail. Each day, they only see the deliveries they are supposed to make that day. Distributors can set up a "Master eBook" that has all of their district routes. Design robust route books that require far less manual updating, and that can be customized in almost any way imaginable. Route books can be printed or downloaded daily to eBook devices. Use our Complaint Reporting tools to manage service levels across all publications, complaint codes, and carriers. 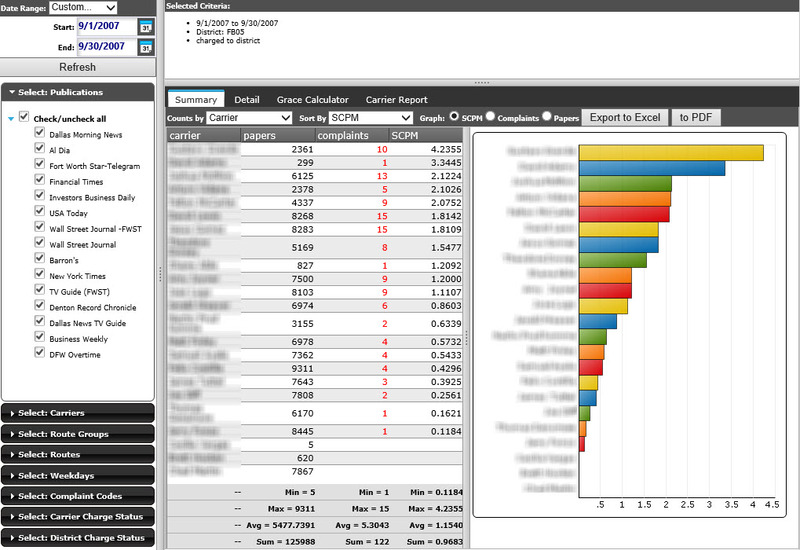 Take advantage of built-in SCPM ranking of carriers to manage incentives and contests. Give carriers access to their own website (www.paperroute.net) where they can see their complaints and maintain their own route books. Cut many hours off of the time it takes you to do carrier compensation. We would love to hear from you, and find out more about your needs!